With competition for customers at an all-time high, interactions, particularly marketing communications, must be delivered to the right customers at the right moment—and with the right messaging. 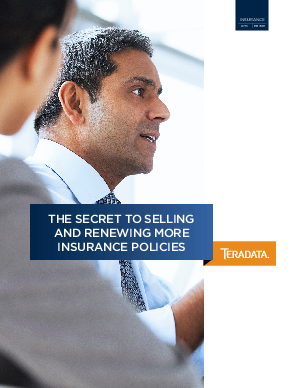 Consumers are more apt to buy new policies, increase coverage, and renew policies when insurance companies reach out to them with communications, help, and advice that is prompt and relevant. A discovery analytics platform that enables experimentation with structured and multistructured data.